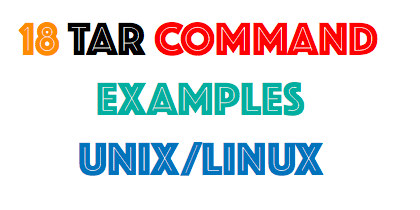 In Unix- Linux , the name of the tar command is short for tape archiving, the storing of entire file systems onto magnetic tape, which is one use for the command. However, a more common use for tar is to simply combine a few files into a single file, for easy storage and distribution. The tar command used to rip a collection of files and directories into highly compressed archive file commonly called tarball or tar, gzip and bzip in Unix – Linux. The tar is most widely used command to create compressed archive files and that can be moved easily from one disk to another disk or machine to machine.